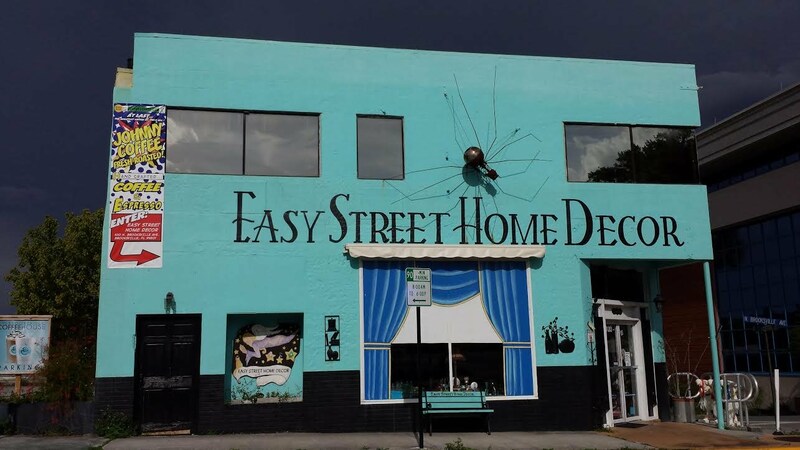 Easy Street Home Decor has been around since the summer of 2004 and in 2008 Dana Reuter became the sole proprietor. She also has friends and family helping with the shop. We feature unique items from around the world that we discover at local auctions and estate sales. We resell vintage furniture, home decor, housewares and much more. Our best contributors are our wonderful consignors. You can be one too. Just contact Dana at 352-848-0177. In 2014, Johnny Coffee opened up in Easy Street, so now you can get a great cup of coffee, eat some danish, and shop too. Visit their website: www.Johnnycoffee.com or call them at 352-848-0177 to place your order. As we say here in downtown Brooksville, "Ya'll come check us out"!